Our kind, caring, and professional dental team will make you feel right at home as soon as you step through our doors. 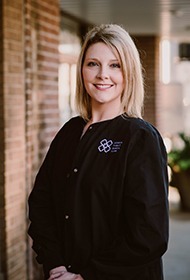 Dr. Whitaker has personally selected a group of hygienists, assistants, and administrators she trusts to provide truly world-class care and customer service every single day. Thanks to our team, scheduling will be easy, your questions will be answered promptly, and your financial options will be nice and clear. Read on below to start getting to know our wonderful dentistry team! Lindsay is originally from London, KY, and she attended the University of Phoenix before getting started in the dental field. Today, she loves coming to work! 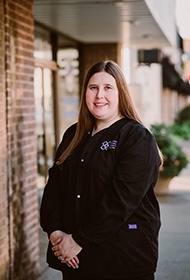 She feels that the staff at Corbin Family Dental Care is amazing and knows how to work well together to provide the very best care possible to patients. Lindsay married her husband Chase in 2011, and they have a young daughter together named Aubrey. Her hobbies including reading, spending quality time with her family, doing fun crafts, and working together on their farm. Shanda’s career in the dental field started three years ago. She has achieved her Expanded Duties certification and loves being able to help patients improve their oral health and enjoy new smiles through her position. Shanda is from right here in Corbin, and she has a lovely daughter named Olivia. When she isn’t busy at the practice, she spends quality time with her family, keeps up with fitness, reads, and goes hiking. Beth attended both Southeast Community College at Somerset and Big Sandy Community College for her education, and she has also achieved her Expanded Duties certification. 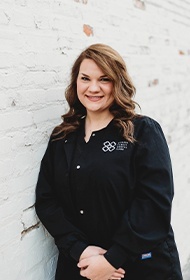 Today, she has been working in the healthcare field for 15 years and counting, having spent the last decade here at Corbin Family Dental Care. She loves that through her job, she can give patients the confidence to smile again! Originally from Pineville, Beth loves nothing more than spending quality time with her loved ones whenever she’s not busy at the practice. 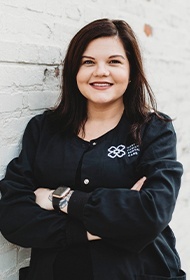 Whitney may be a relatively new member of our Corbin team, but her career in dentistry as a whole spans eight years and counting. In fact, she knew she wanted to work in this field since she was very young – it was her true calling! 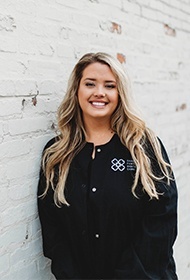 For her education, she attended EKU and Bluegrass Community & Technical College, receiving advanced training in ZOOM Whitening, local anesthesia, and laser dentistry. What she enjoys most about her job is being able to develop relationships with her patients while helping them achieve healthier, happier mouths. Whitney hails from Corbin and was recently married in August of 2016. She is the proud mother of a fur child named Sir Charles! In her free time, she enjoys antiquing, traveling, boating, and ATV riding. 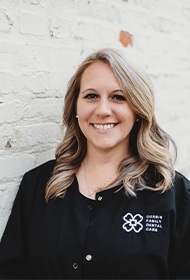 Amanda’s been working in dentistry for 14 years and counting, and she’s proud to be a new member of the Corbin Family Dental Care team. She has always loved dentistry and never wanted any other career, first getting her start at the front desk of a dental office in high school. She attended the University of the Cumberlands before pursuing her dental hygiene education at Bluegrass Community & Technical College. She has additional training in Zoom Whitening, local anesthesia, and laser dentistry. She loves changing smiles through her job! It’s so rewarding to help patients brighten their teeth in ways that just aren’t possible with daily care. She is also proud to work alongside other team members who are all fully devoted to patient satisfaction. Amanda is from London, KY, having moved to Corbin a few years ago. She and her husband Josh were married in 2008, and they have a son together named Lucas. When she isn’t busy at the practice, she spends quality time with her family and two dogs. Her other interests include traveling, riding motorcycles, and simply being outdoors. Whitney is from right here in Corbin and has been working in dentistry for a year so far. She earned her education from Eastern Kentucky University. Working so closely with patients and getting to know them well over time is her favorite part of this job! Whitney has a loving husband named Jake at home, and her hobbies include traveling and spending quality time with her family. She is also a BIG Jacksonville Jaguars fan.